Join Wilmington HS Project Lead the Way (PLTW) Engineering and the Wilmington-Clinton County Chamber of Commerce as they celebrate National Engineering Week with an open house on Thursday, February 21st, from 5PM - 7PM. 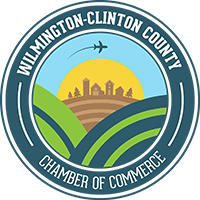 The event will be held at the Chamber of Commerce, 63 West Main Street, in downtown Wilmington. Don't miss this opportunity to network with Project Lead the Way seniors and fellow business and community members, enjoy light refreshments, and explore displays of PLTW engineering projects. The open house will also celebrate the first class of graduating senior students who have completed all four years of PLTW classes - Ryan Camp, Zane Carey, Zackary Evans, Jonathan Fender, Timothy Canon Ford, Brendan Powell, Jack Romer, Madison Stoops, and Graham Vilvens. RSVPS are encouraged by Monday, February 18th. To RSVP, please contact the Chamber at 937-382-2737 or info@wccchamber.com. Project Lead the Way is a rigorous four year program to prepare students to pursue degrees in engineering. Project Lead the Way (PLTW) is the leading provider of rigorous and innovative Science, Technology, Engineering, and Mathematics (STEM) education curricular programs used in high schools across the U.S. - including our very own Wilmington High School. PLTW's comprehensive curriculum for engineering has been collaboratively designed by PLTW teachers, university educators, engineering and school administrators to promote critical thinking, creativity, and innovation and real-world problem solving skills in students. The hands-on, project-based engineering courses for high school engage students on multiple levels expose them to areas of study that they typically do not pursue, and provide them with a foundation and proven path to college and career success. PLTW Engineering is a satellite partnership between Wilmington HS and Great Oaks Career Campuses. We have now fully implemented the program offering four courses at the high school level- Intro to Engineering Design, Principles of Engineering, Digital Electronics, and Aerospace Engineering.